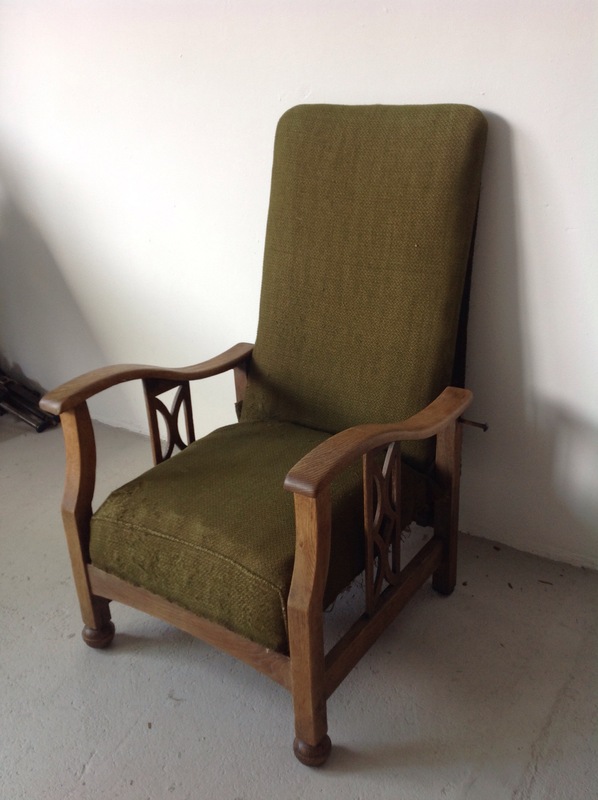 A while ago I was approached by a lovely client who had inherited her Nan’s rocking chair. She was very fond of it but the cherry red velour and dark wood didn’t really fit into the style of her house. 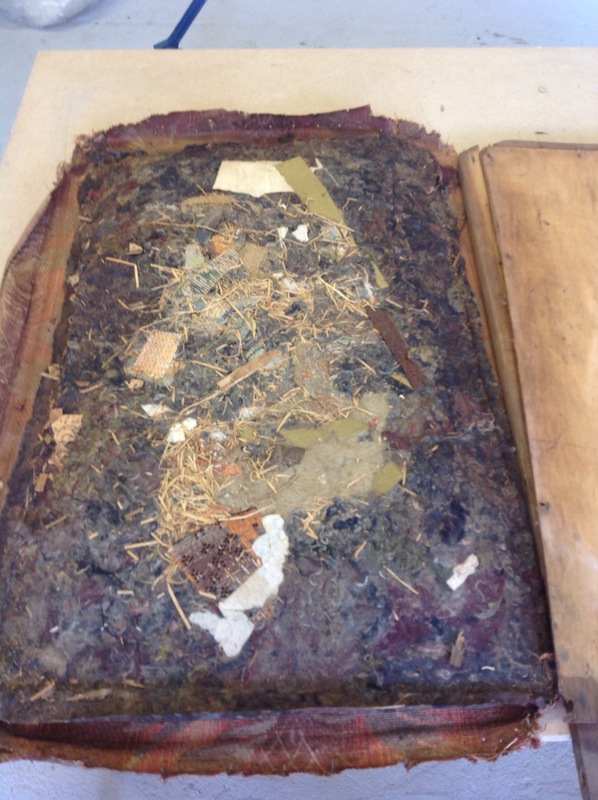 The foam inside was old and crumbly so that was removed and then I set about stripping the dark varnish off the wood. Many sanding sheets later, I applied some traditional wood finishing techniques to the show wood. Now rather than dark brown – it’s a warm honey colour. 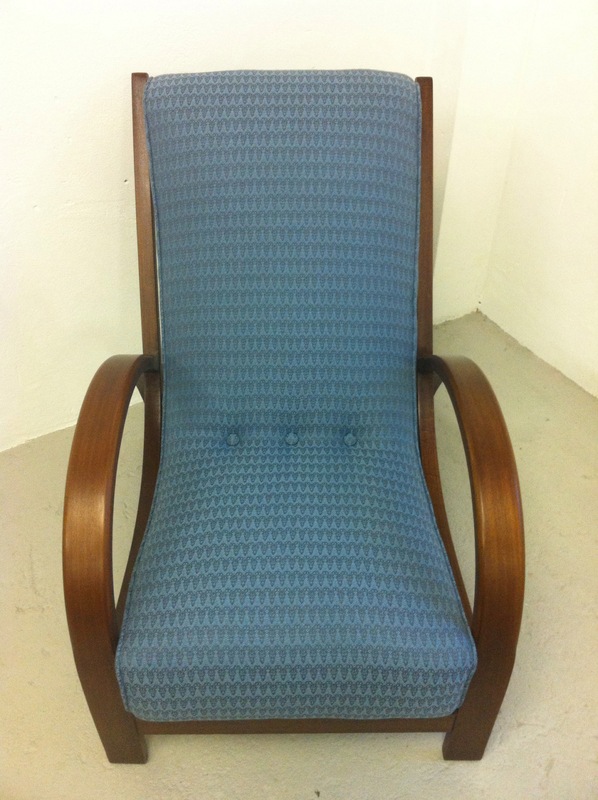 With completely new foam and cotton wool felt, it was then covered with a gorgeous turquoise blue, fine wool fabric from Ludvig Svennson. Just a beautiful colour. What a transformation and incredibly comfortable to sit in! Sometimes its good to have a little reminder of what was there before, particularly if it has fond memories. Just under the cushion is a hidden piece of cherry velvet. Last May, at the one of the Brighton Artist Open Houses, I met Lizzie Hillier from Sussex based textile design company called Woven Oak. 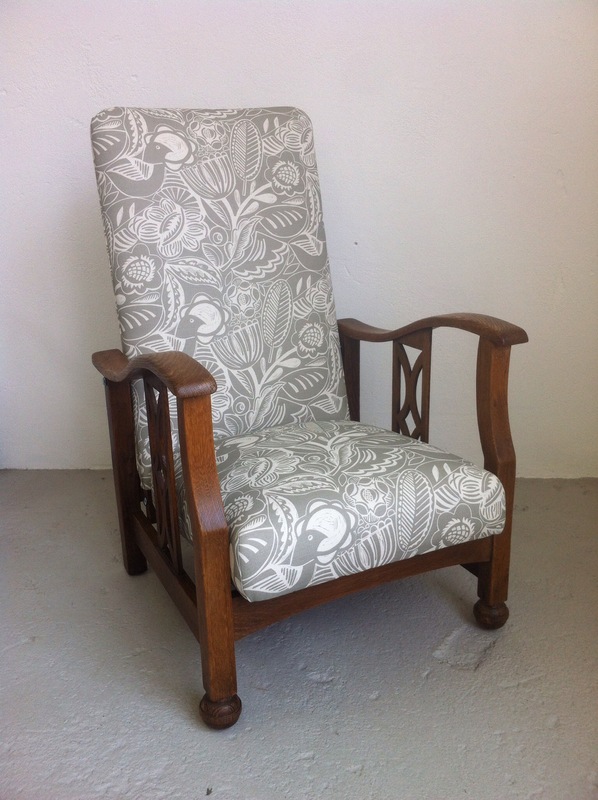 I loved their fabrics and was keen to see if we could bring our skills together to create a beautiful chair. 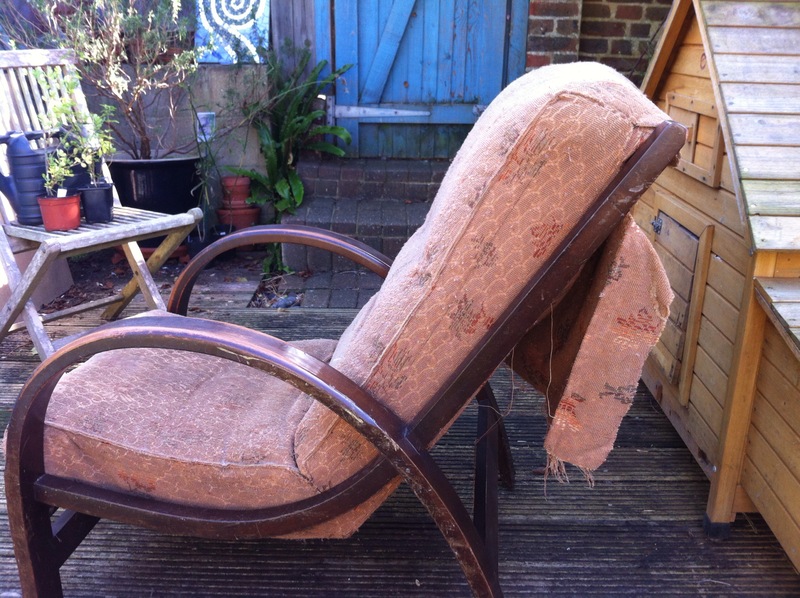 Then a few months ago, I found this rather special 1930’s reclining chair at Shabitat in Brighton. 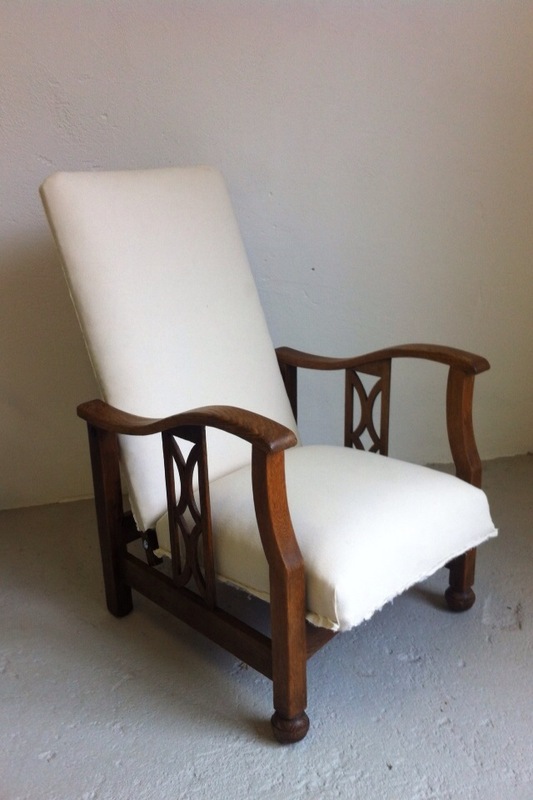 Its upholstery was in serious need of some attention but its shape and woodwork were lovely. The chair also reclines, so while sitting you can slide the seat forward and the back tilts. Perfect for an afternoon nap! 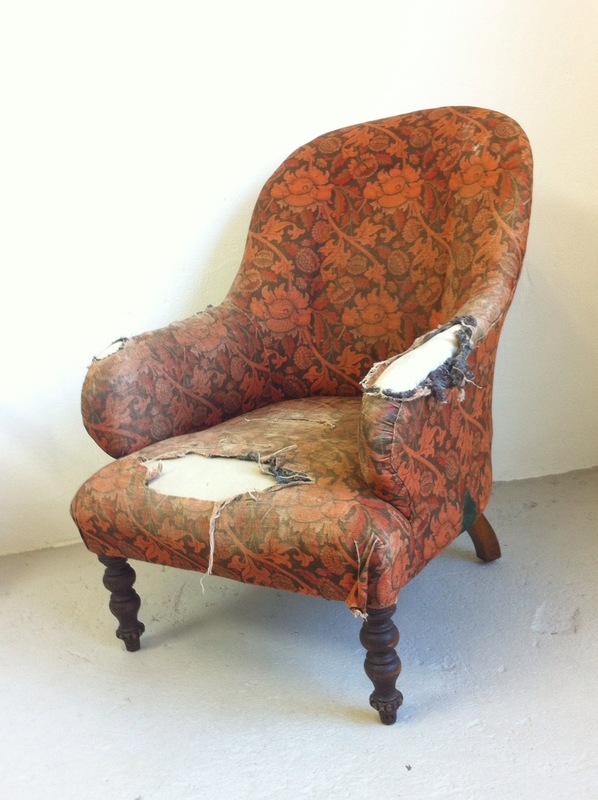 The seat was a hand stitched sprung cushion that would have been beautifully made in its day but was falling apart! No wonder the seat was so lumpy. 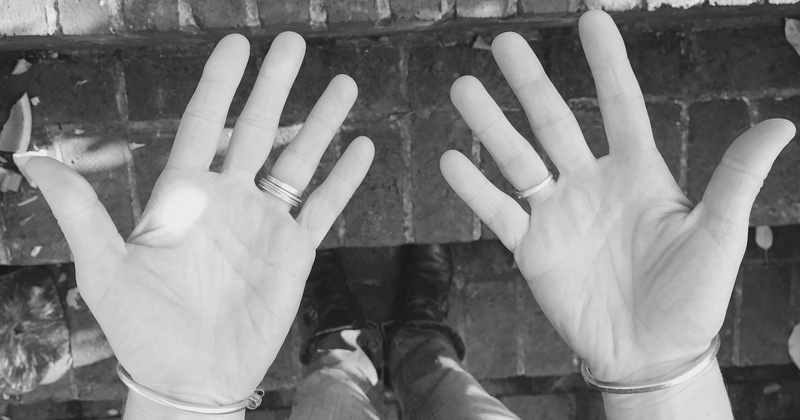 If you’d like to know more about the wonderful process of creating a design using linocuts, you can read Katie Treggiden’s design blog where she interviews Lizzie from Woven Oak. 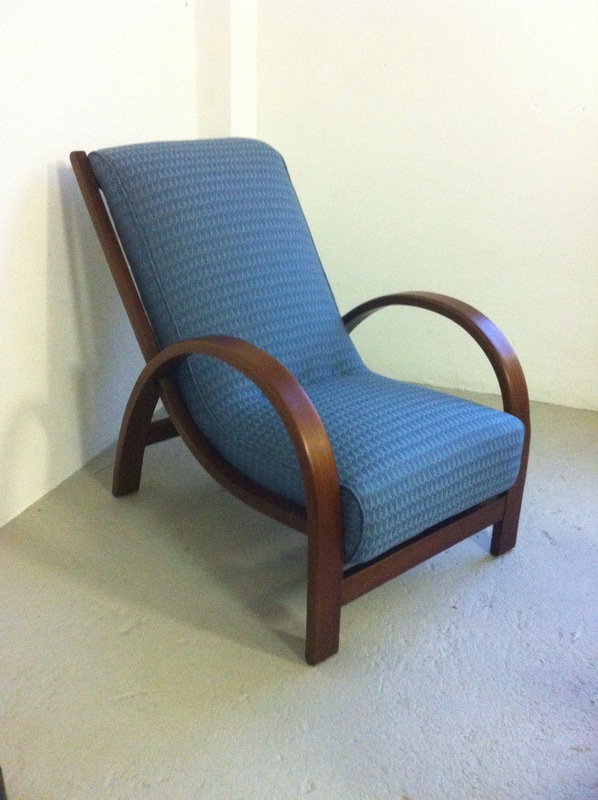 This chair was sold to a lovely person at No. 44 Florence Road, Brighton part of the 2016 Artists Open Houses. 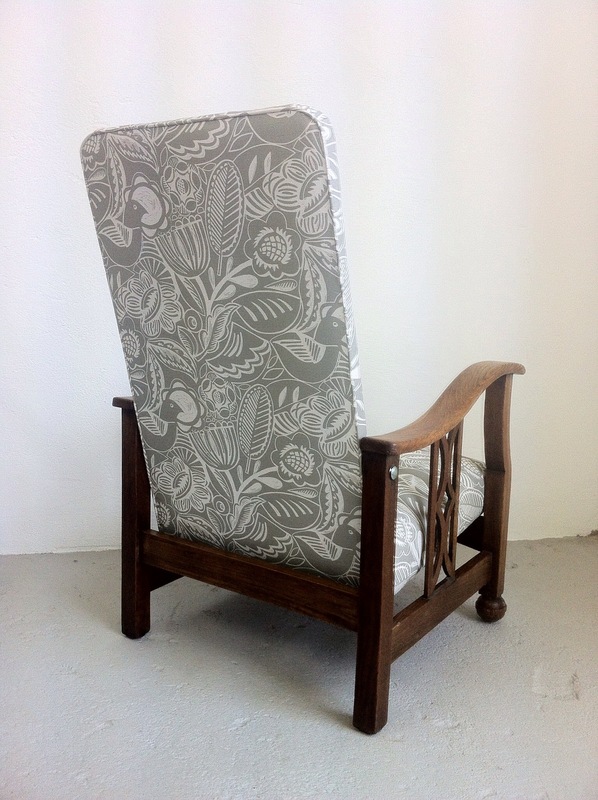 Posted in fabric and tagged #15at44, ArtistsOpenHouses, Brighton, Brighton & Hove, BrightonFringeFestival, chair, FivewaysArtists, Spring Upholstery, Sussex, Woven Oak on 22/04/2016 by Spring Upholstery. 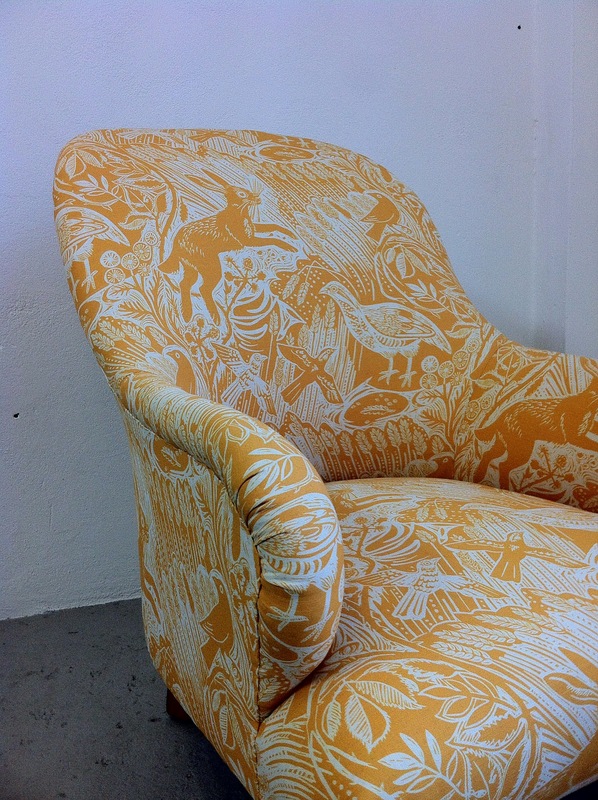 I’ve oooh’d and ahhh’d over Mark Hearld‘s fabric designs for a while now – they are just beautiful. So when a client asked me to help her find a chair and said she wanted to use Mark Hearld’s Harvest Hare fabric, I was very excited!! 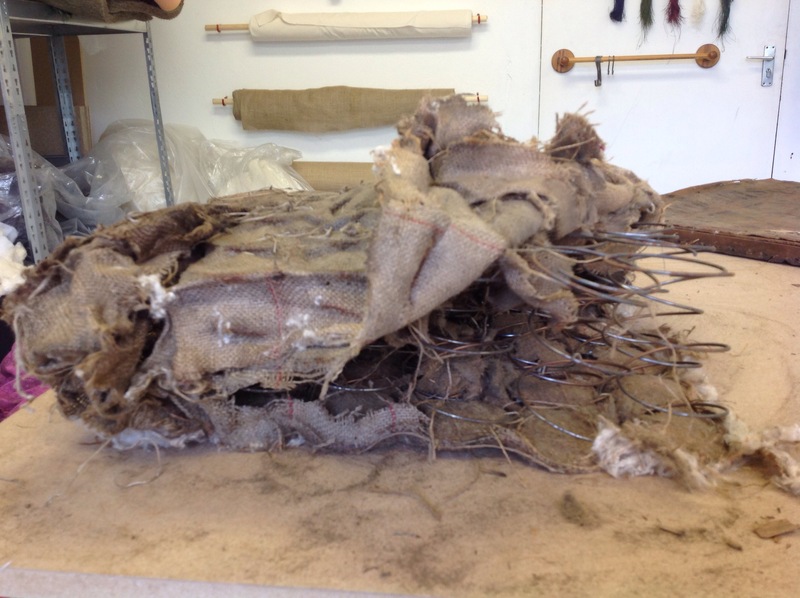 This was a recover rather than a total upholstery rebuild, so I added some lovely cotton wool felt for extra padding. 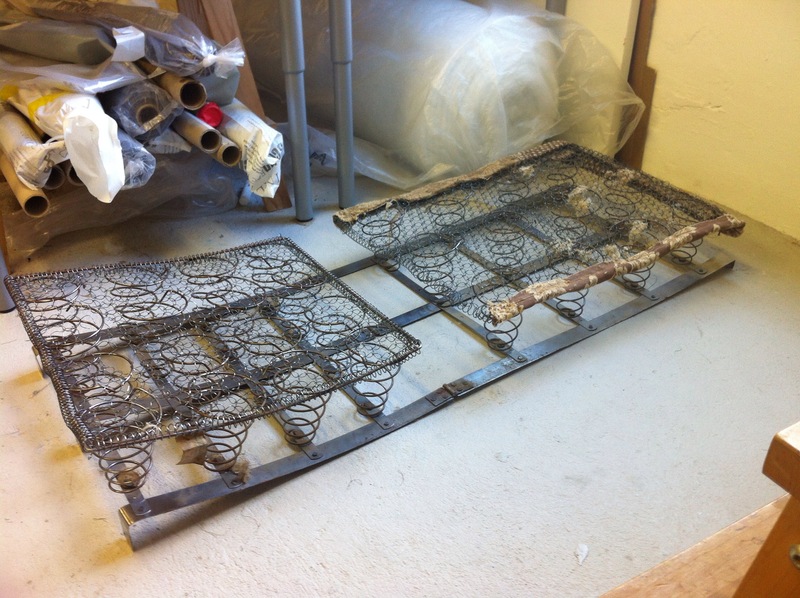 The seat has been repaired from the underneath too. 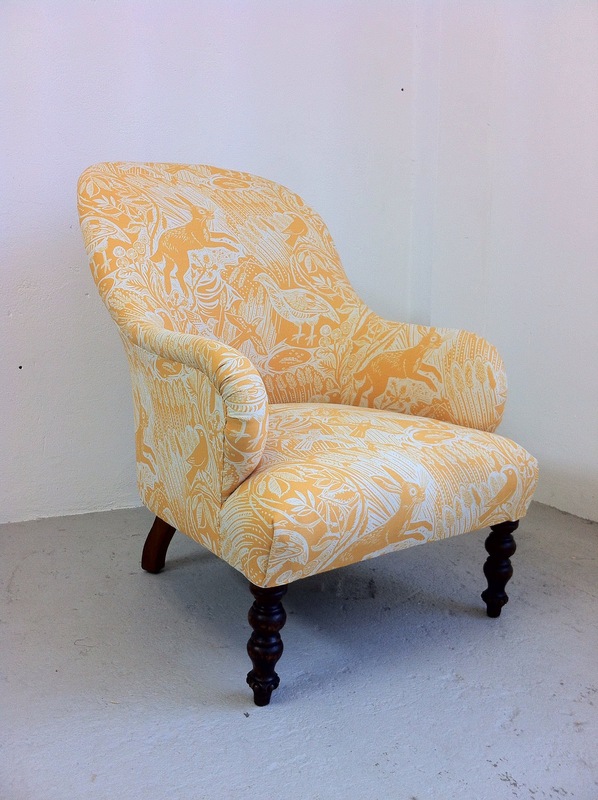 After much pattern matching, here she is, in all her corn-coloured glory..
Our workshop is based at the Phoenix Brighton and have three huge windows through which passersby from the street often have a good look at our current projects. While I’ve been working on this chair, lots of people have stopped to peer in at the harvest hares! One chap even stopped to take a photo – cheeky! 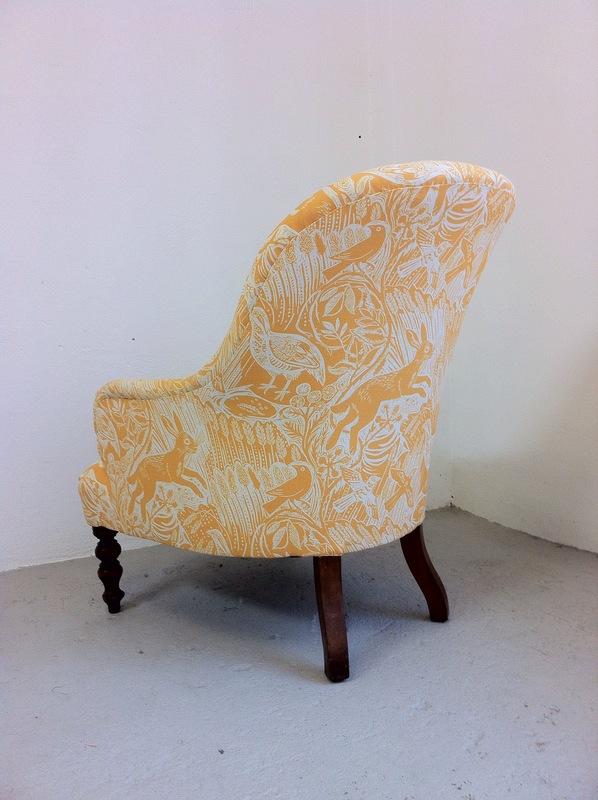 Every now and then you get to work on a chair that is a bit special… I’m with my daughter on this one, she said: “I love the birds and the hares – I wish we could keep it.” This is going to be a bedroom chair – what a lovely thing to wake up to every morning.. It would simply be rude not to stare. If you’d like to learn more about Mark Hearld’s work and some of the other artists who are part of St Jude’s, you can visit their website. 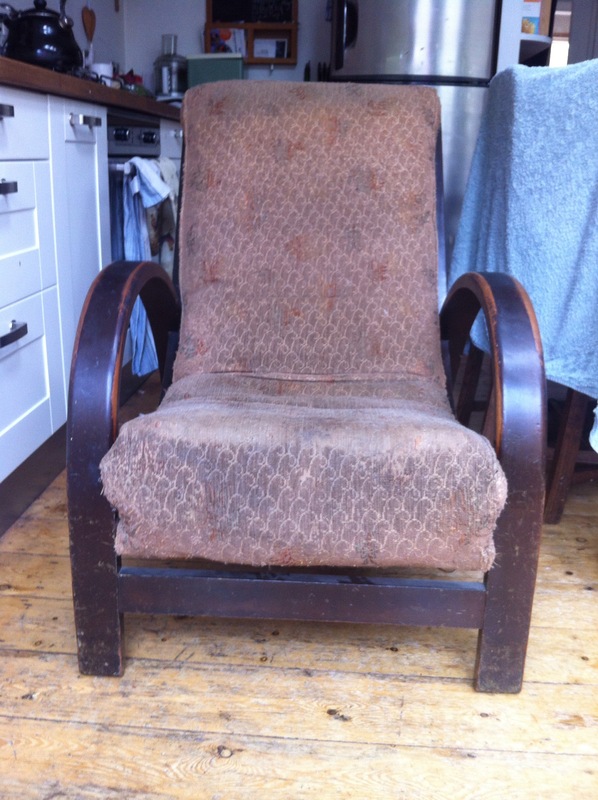 A while ago a lovely friend asked me if I could find her an old chair – she lives in a house built in the 1930’s and liked chairs with bentwood arms. 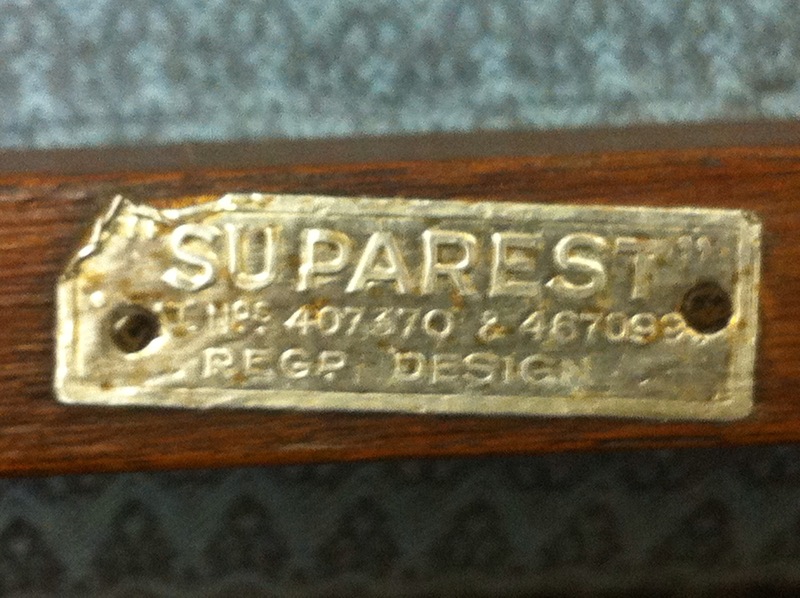 Here’s what I found… a beautifully designed chair made by Suparest as a Utility piece of furniture sometime between 1941 – 1952. Recently I began the job of returning it to its former glory. It still had the original fabric and utility ‘cheeses’ label, but the fabric was holey and the stuffing was very saggy. 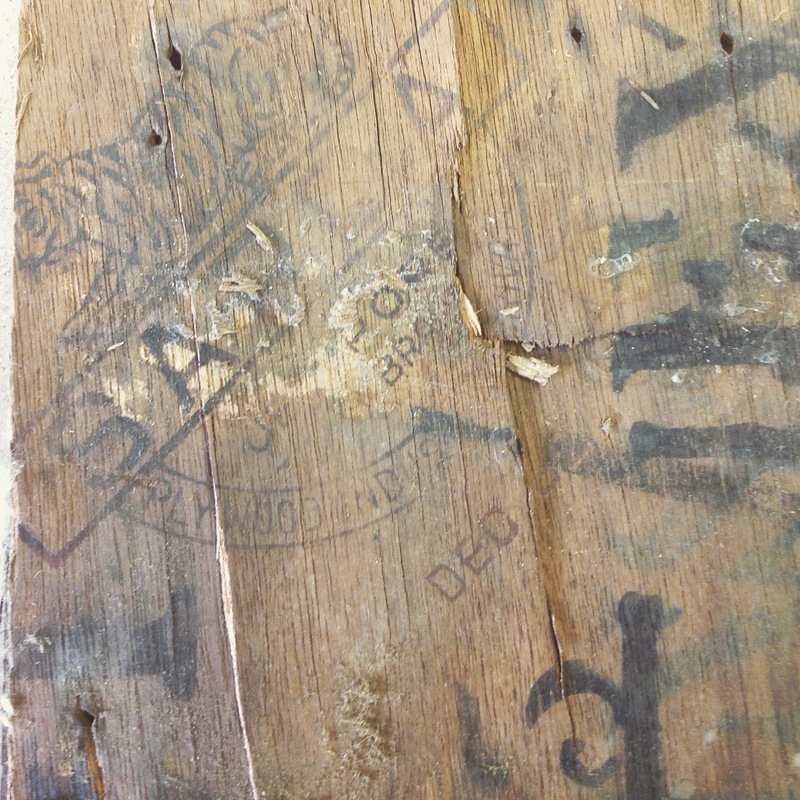 The varnish was very scratched and worn. Not surprising after about 70 years! Severe restrictions on raw materials during World War II saw the introduction of a controlled production scheme in 1941. Initially, the utility mark applied to clothing and then extended to other commodities including furniture. The utility furniture range was aimed at newly weds setting up home or those whose houses had been bombed in the Blitz. It was well designed but plain and not surprisingly ‘utilitarian’ in style. Towards the end of the war, new and more attractive designs were introduced, but the scheme came to an end in 1952. 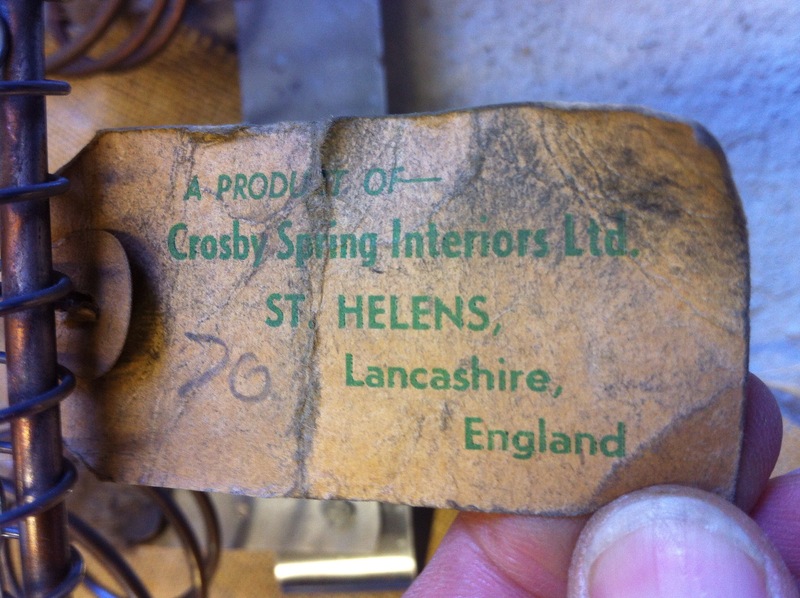 Another little surprise inside the chair was a rather forlorn 1940’s style stocking wrapped around the side of the spring unit. With a seam all the way up the back and little patches of salmon coloured thread where it’s holes had been darned – it rather epitomised the ‘make do and mend’ nature of war time Britain and the years that followed. Once stripped, the wood was rather a strange pink, so I had to use water stains and spirit dyes to get it to a good colour.